A Northern Ireland woman has won a life changing £12.9M EuroMillions Jackpot, which equals about $20.3 million US (the jackpot total was £12935936.30. The woman’s name is Mary Hamilton, and she won the jackpot with a Lucky Dip ticket, which was a quick pick one (let no one ever again say that quick pick is a scam). At a press conference at the Culloden Hotel, Ms. Hamilton had a glass of Champagne to celebrate her big win. Mary is a furniture store employee. She is 65 years old, and she and her husband Alexander, aged 67 years, are planning on spending the money, with her first planned purchase being a cell phone. They are also planning on enjoying christmas in style, and, as said above, just spend the money on the things that they want to. Some would argue that this is not the best course of action with the money, because investing it is always the better option, but considering their age, the choice of spending the money is not such a bad one. You see, when you are still young and you win the lotto, you should plan for the future and invest the money or take a payment option, but when you are older, you do not have as many years left over, so while it is still wise to consider the future and plan for it, you may not have to do it as carefully as when you are younger. The couple celebrated their 40th anniversary in July, and they are also planning on rewarding all of their faithful customers who have kept them in business all of these years at Bannons. Mary has been playing the lotto from the day it has started, and she stated that she always thought that one day she may win a few thousand pounds or something like that, but she never expected to win this much money. 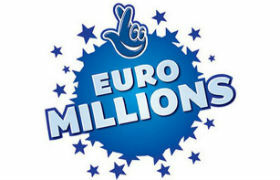 Since the lotto started, it has created more than 3700 millionaires, and she is now one of them. The lotto started in 1994, which means that Mary has been playing the lotto for 20 years, and now it has finally paid off. Mary said that she played the same numbers week in and week out for the first 10 years of playing the lottery, and this brought her a few small wins, but nothing really big in that time. She one day made the decision to switch to Lucky Dips, and that is how she got this win. If it was not for that choice, she would have never had this life changing win. When considering all of the things she said, it seems that she has always really enjoyed playing the lotto, and this is the way it should be. We are very happy for her and her husband, and we hope they enjoy the money to the fullest.